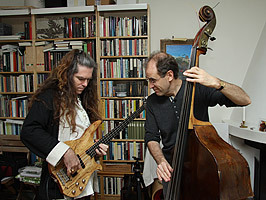 Jan Alm, born 1955, studied double bass with Ferdinand Lipa, Göteborg Sweden and Klaus Stoll, Berlin. 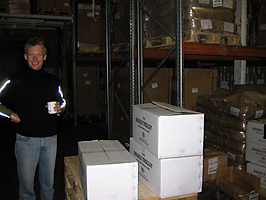 After working in Bergen Philharmonic Orchestra, Norway, as assistant principal for one year he joined the Gothenburg Symphony Orchestra in 1984, becoming assistant principal in this orchestra in 1986. The same year, 1986, he was appointed teacher of double bass at the University of Gothenburg, Academy of Music and Drama. 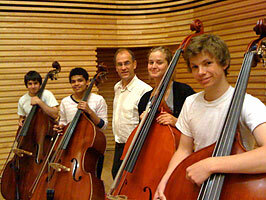 Other teaching activities include the summer course of Bass Club in England since 1999. 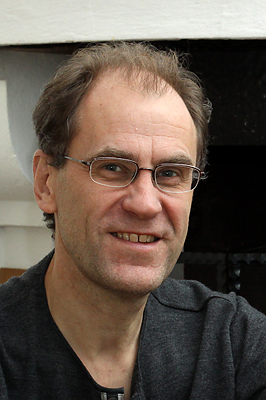 Jan Alm is the composer of three double bass quartets, no 1 written 1984 and no 2 in 2001. A third quartet for double basses, named "Q for Salamanca", was published in 2011. In 2006 he wrote pieces for electric bass and orchestra. These were performed by Gothenburg Symphony Orchestra, Stockholm Royal Philharmonic Orchestra and Gävle Symfoniorkester and are available on the Naxos worldwide release of Magnus Rosén’s CD “Past Future”. A cycle of fourteen settings of poems by Swedish Nobel laureate Harry Martinson was completed in 2007. Scored for piano, string quartet and harp these songs have been performed in Sweden and Warsaw, Poland. A new edition of Quartet no 1 for double basses is available from february 2012.